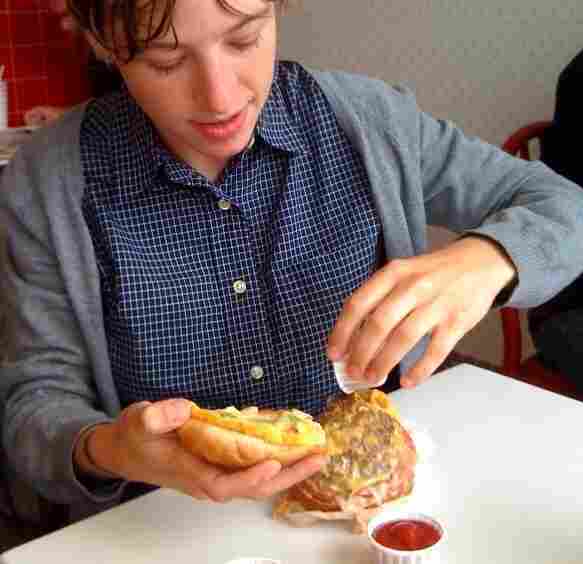 A Trip to In-N-Out Burger : Wait Wait ... Don't Tell Me! 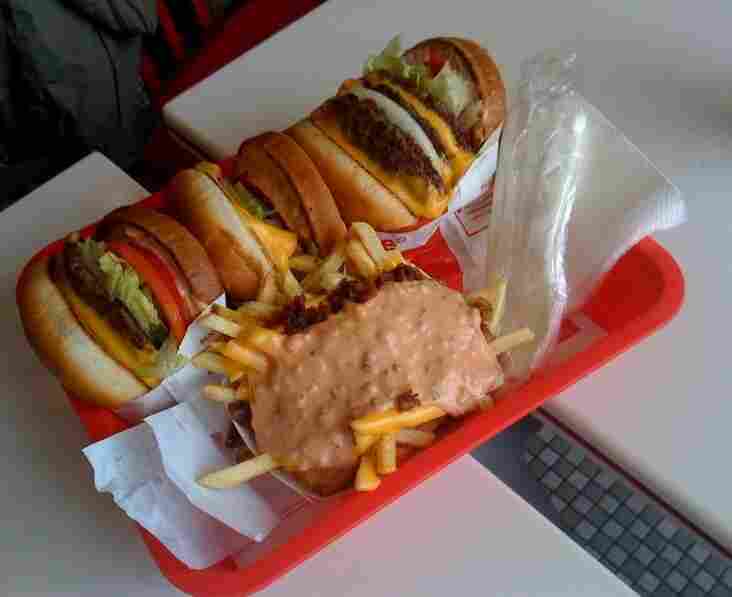 Eva and her sister go to In-N-Out burger for a special Cali edition of Sandwich Monday. The main disadvantage of living somewhere other than the West Coast is limited access to In-N-Out Burger. On a recent trip to San Francisco, my sister Natalie took me to the only one in town to try their famous and not-so-secret menu. In case of emergency, and because it would be funny to horrify him, we brought along our doctor friend, Bill Moore. I ordered the '4x4', a burger with four meat patties. This may seem like a lot, but they also offer a '100x100'. Natalie went for the 'Grilled Cheese', a bun with no meat but with several times the cheese. 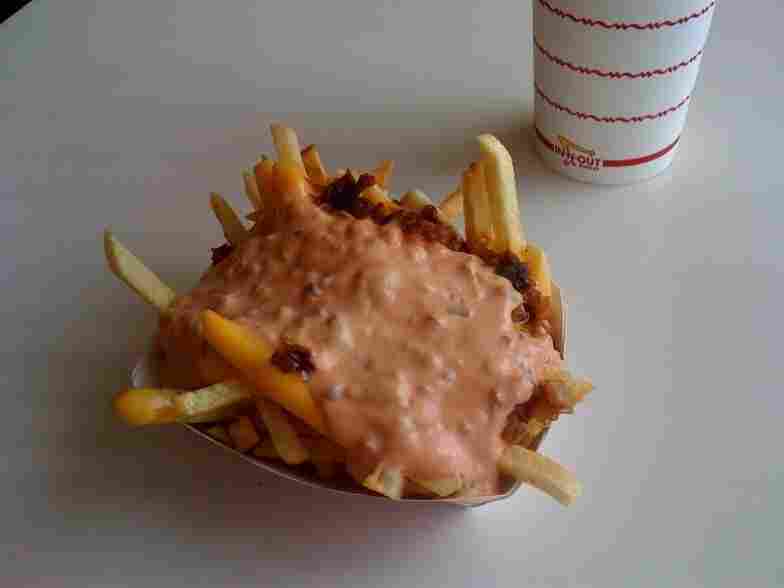 We split 'Animal Style Fries'. That's basically fries covered with a pile of melted American cheese, onions and some kind of salad dressing, maybe Russian. Dr. Bill just ordered a cheeseburger. 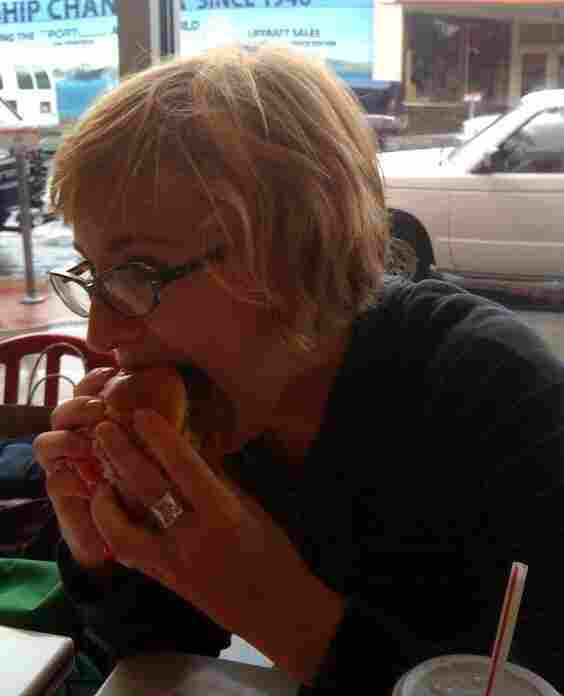 Natalie, as she bites into her 'grilled cheese': Hmm, this burger needs a burger. Eva: Well, since I can't actually fit mine in my mouth, you can have some of my meat. Natalie: We all ordered Diet Cokes. Bill: That means we don't have to feel guilty about any of this, except for the fries. Natalie: These fries seem to be covered in some sort of American cheese reduction. Eva: I didn't know you could reduce American cheese. It's the lowest thing. Bill: When you reduce American cheese, you get America.